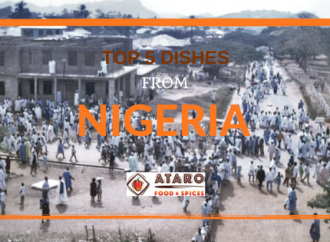 West African cuisine is slowly gaining prominence in the culinary world. One of the most popular spice mixes is the Suya BBQ spice. 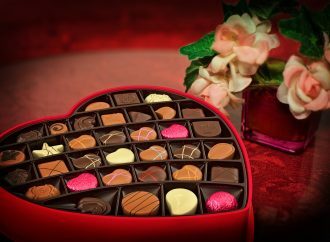 Have you had a chance to taste it yet? You will be blown over by the burst of flavours that happens in your mouth when you bite into a Suya spiced piece of grilled meat. Just imagine the smoky smell of grilled meat, infused with garlic and ginger, or the fragrance of coriander and curry from a gently simmering stew. Even before you the food reaches your tongue, the evocative aroma of the spices stimulates your appetite and heightens your anticipation for what is to come. 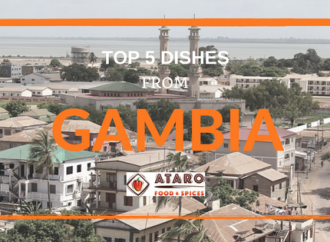 West African cooking, though not always necessarily spicy, has a distinctive flavour and it is characterised by our use of a wide range of dried spices – very similar to Indian cooking. Ok let’s start from the beginning, what is suya? Suya is a Nigerian word for a special roadside beef barbeque. Every evening people all over the country line up on the roadside to buy suya for their families. 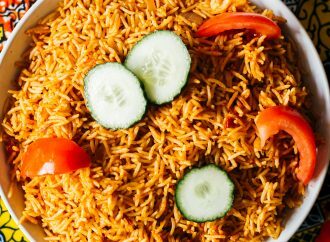 It is usually prepared by the Hausa people of Northern Nigeria and it is loved by all Nigerians. We are now fortunate to know their secret recipe for suya. Ataro Spices has packaged these local herbs and spices in a way that is convenient for everyone to use. 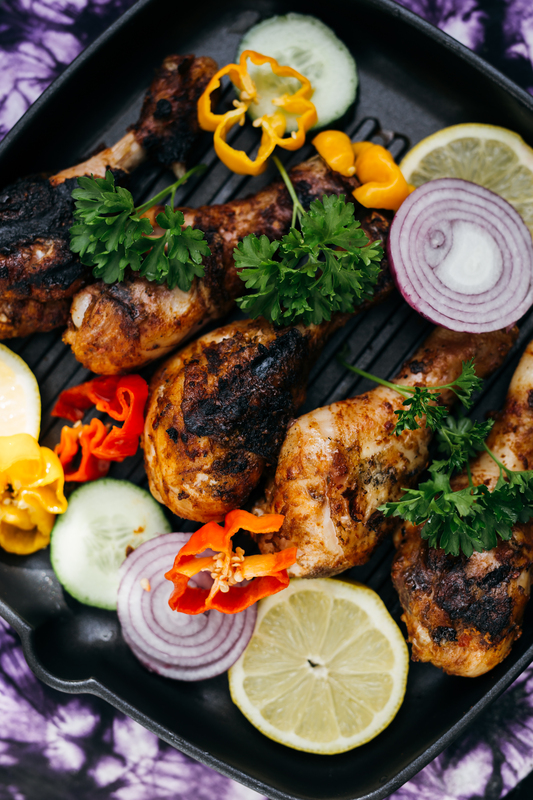 For some inspiration today, we will start with the Suya Chicken recipe that is already available on this blog, you can find it here. To give you additional inspiration, we bring to you a round-up of a few recipes that we hope will inspire you to come up with a variety of tasty dishes to treat your friends and family. Food blogger Sisi Yemmie has put together this recipe which makes use of the Suya spice mix and some rich coconut milk to bring out this delectable Yaji curry. Funke Koleosho, another food blogger shares in her food blog where she chronicles New Nigerian cuisine, has come up with an interesting Beef Suya BBQ recipe. This is a very simple recipe and gives you an idea to mix and match ingredients and make a variety of Suya – be it beef suya, chicken suya, fish suya or even veggie suya. Imma, food blogger of Immaculate Bites shares with us a Suya-satay style recipe that you can try with a peanut sauce. Satay is a popular street food in Malaysia and Indonesia, so why not use the same principle to make use of the aromatic Suya BBQ mix and make a Suya satay! It sure will be amazing with the peanut sauce. 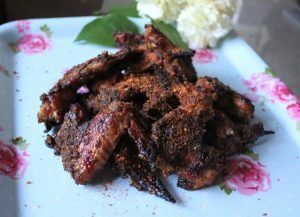 Biscuit Bone Blog, is a very interesting blog where we found this tantalizing Korean BBQ Chicken Wings with Spicy Suya Rub recipe. 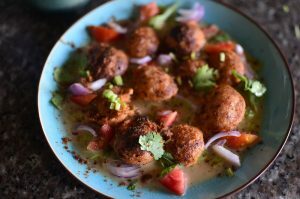 We think this is a wonderful twist to the regular recipes and a very innovative way to use the Suya spice mix. 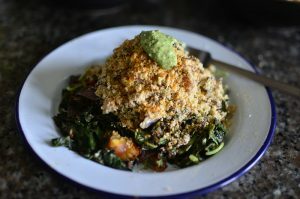 Kitchen Butterfly shares a few ways to use the spice mix. One way is to: Dress your salad – sprinkle the spice mix on your salad, or add it to your salad dressing. – We are sure this will add a super kick to the flavours. Add this spice mix to warm peanut butter to make a unique flavour stand out! You could use this as a spread or even cook it in a sauce! Mix the spice with granulated white sugar and sprinkle on Masa or Crumpets, Pancakes or even French Toast. 9. Add this spice to your omelettes! Yes why not! The Sri Lankan omelette is famous for its burst of flavours, you could surely try out your omelettes with this aromatic spice mix right? Some indian cuisines follow a tradition of mixing plain rice with spice powders, a dollop of clarified butter or sesame oil, mixed and eaten with crisps. Why not try this same technique with your special Suya BBQ spice mix? 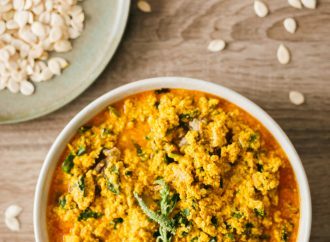 We are sure this will take you to another world and also act as a quick fix recipe when you are hard pressed for time to cook yourself something! Are you inspired enough? So come on, make your way to our online store!! Buy that tin of flavourful Suya spice and spice up your cuisine!